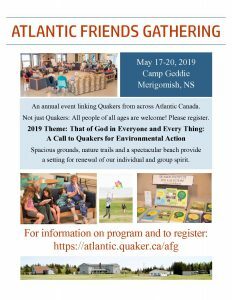 The Atlantic Friends Gathering is an annual get together for Quakers in the Atlantic Provinces – and for anyone who would like to join us. We meet by the ocean at Camp Geddie over the May long weekend, from Friday, May 17 to Monday noon, May 20th. There are lots of workshops and fun activities. Please check it out at atlantic.quaker.ca/afg to find out about the program for AFG 2019. You can register on-line and get a reduced rate before May 10th. The theme this year is “That of God in Everyone and Every Thing: A Call to Quakers for Environmental Action”. We have 5 guest speakers, as well as our own local leaders. 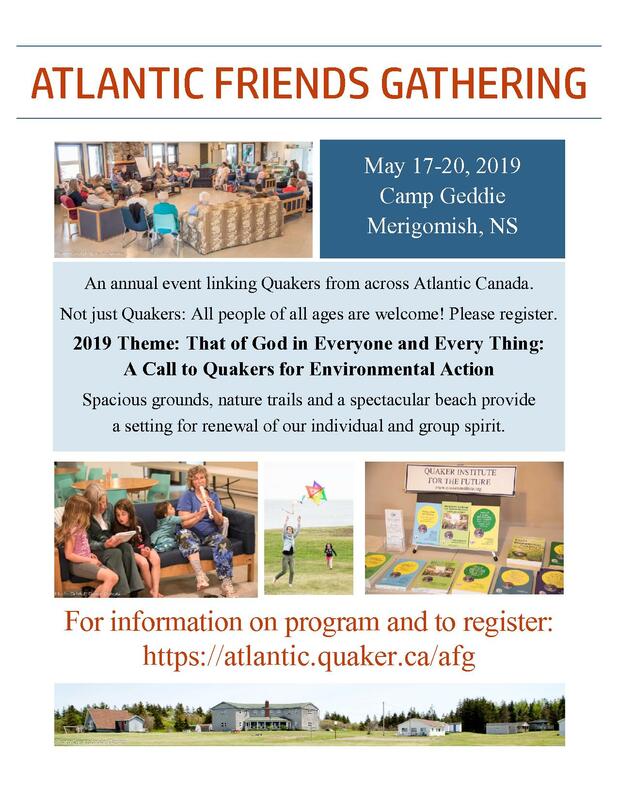 Atlantic Friends Gathering is an annual event linking members and attenders of the Religious Society of Friends (Quakers) from across Atlantic Canada. We gather at Camp Geddie, a Presbyterian Church camp on Nova Scotia’s North Shore. 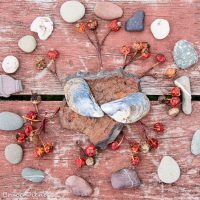 The spacious grounds, with nature trails and a spectacular beach on the Northumberland Strait provide a natural setting for renewal of our individual and group spirit. As with previous AFG’s there are no compulsory activities. 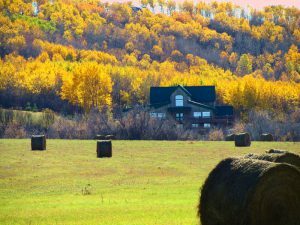 The healing atmosphere of being in a welcome nature retreat offers an opportunity to open ourselves up to whatever we feel leads us, and to make this a weekend of renewal of our individual and our group spirit. This is a weekend for fun and enjoyment for individuals of all ages. For information about AFG, click here. For detailed information about Special Interest Groups, click here. To register for AFG 2017, click here. 1. How would you describe your Quaker Community? 2. How do you experience the responsibilities of Membership? 3. What does it mean to you to belong? 4. What’s it like to be part of this combined Half Yearly Meeting? I love seeing all ya and heck PHY can sing!! !